Seven years since I last commented on this place - it hasn't changed and is one of the few non food dominated pubs left in Central London. 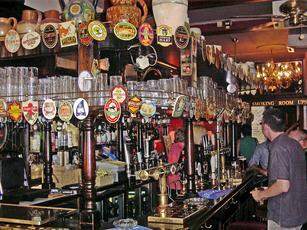 Plenty of ales on - went for the Hophead as a kind of benchmark and it was far better than the last pint of it I had. 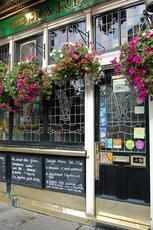 Probably one of literally a handful of decent true pubs left in Central London. 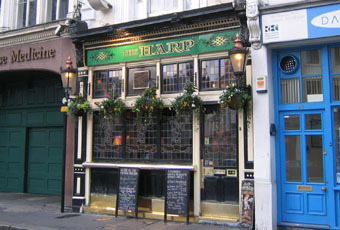 We ended up in the Harp on one Saturday night in November. My memories of this visit are a little hazy. But we stood in the alleyway at the rear, where we were hassled by quite a few homeless people, who use the area to sleep rough. 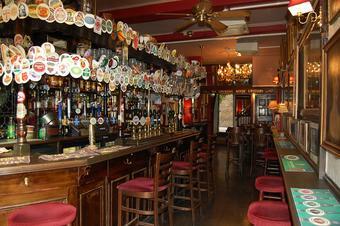 Ales were Harvey's Sussex Best Bitter, Dark Star Hophead & American Pale Ale, Animal Peacock, Hawkshead Dry Stone Stout, Hammerton N1, Burning Sky Plateau, Fuller's London Pride & One Mile End Great Tom Mild. Ciders were Lilley's Pear and Raspberry & Rum Cask and two others called Buckshot and Scrumpy (I couldn't find out the producers). 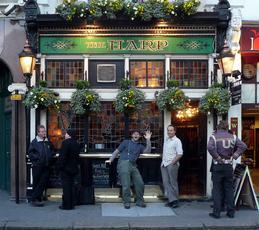 The Harp is still a great pub. But as always, it was too busy to enjoy when we visited. It's always best to visit earlier in the day when it can be enjoyed. I''ve just arrived back in Australia after another successful tour of UK & European pubs, the 8th since 2009, and the 5th where I''ve launched proceedings at the Harp. Nothing to add from previous posts other than the beer this year was Sambrook Pale Ale, new to me & pretty good. Though I''m not sure you should trust the judgement of someone who had spent the previous 24 hours on a plane. 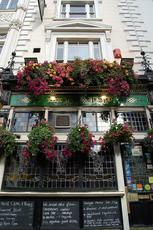 Any real ale lover visiting London and especially the West End needs to drop in to The Harp. 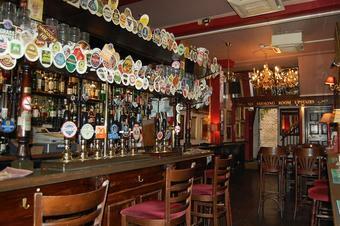 A fine range of real ales all well kept. There are normally a few Dark Star beers available along with four or five others. The clientele is a large and varied one. 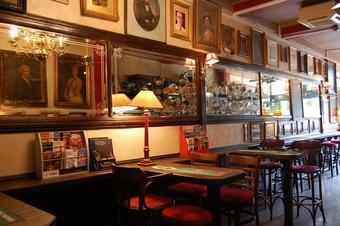 Despite the pub almost always being busy I never have to wait too long to be served. 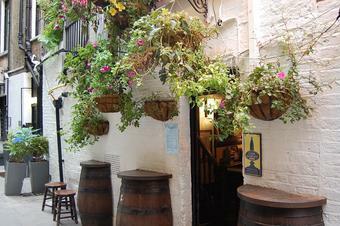 As with several pubs around London the space created for the toilets seems to have been an afterthought!